Micromax will first enter the e-two and three-wheeler segment, prototypes for which are being tested and waiting for approvals. Electric mobility is the next big thing. As the government pushes for country-wide green mobility vision by 2030, new entrants are jumping the bandwagon to cash in on the government's perks and capture the unexplored market. The latest entry in the EV segment in India is homegrown consumer durables company Micromax Informatics. If the media reports are believed, the company, which is largely known for its mobile phones, recently accounted it will soon launch its electric vehicles models and lithium battery categories. 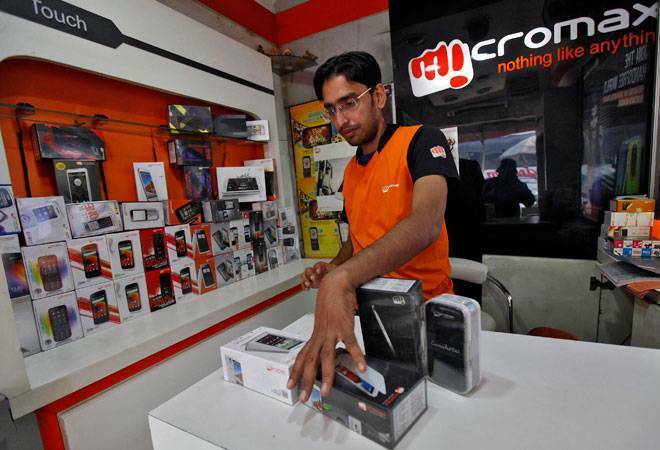 Micromax will first enter the e-two and three-wheeler segment, prototypes for which are being tested currently and are waiting for approvals, The Economic Times reported. It added the company had already got the mandatory permission to make lithium batteries for e-rickshaws and e-autos. It's also seeking funding for its new initiative and talks are on with various investors to fund its new business plan. Micromax Informatics received the government approval for lithium batteries earlier this month. The Gurugram-based mobile phone maker and consumer durable company has so far not revealed much about its plans, though its co-founder Rajesh Agarwal told ET it was looking an entry into the electric vehicles (EV) segment. The segment - still in its nascent stage - has only a few players in India. Its plan to focus on EVs apart from mobile phones also underscores a huge competition in the mobile tech segment, which is flooded with Chinese makers known for their cheaper products. A major reason that the company has decided to explore e-two and e-three-wheeler segment is that unlike the four-wheeler EV segment, wherein global companies are working to make suitable vehicles for India, this segment is largely unexplored. The centre and most states have also launched several initiatives to attract investment under the Faster Adoption and Manufacturing of Hybrid and EV Scheme. For instance, state-run Energy Efficiency Services Ltd (EESL) is reportedly planning to float a fresh global tender for 10,000 EVs for use by government bodies. The centre may also consider the waiving of registration and road tax for EV manufactures in the near future, which will reduce the production cost considerably. The next task for Micromax is to get to approvals on prototypes and set up a manufacturing facility at a place - like Pune, Chennai and Bengaluru - well suited for EV vehicles.